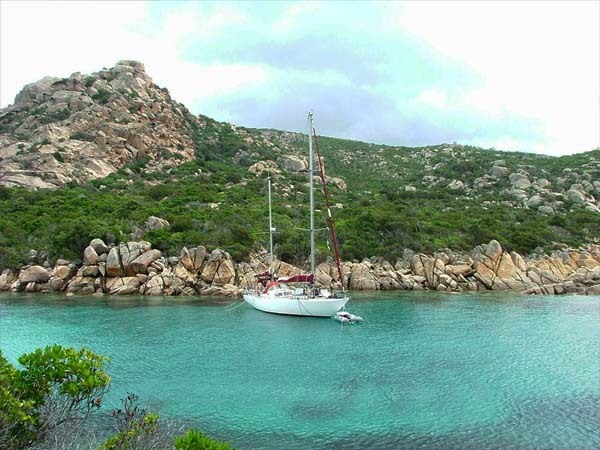 A sailboat is ideal for cruises around Corsica and Sardinia. 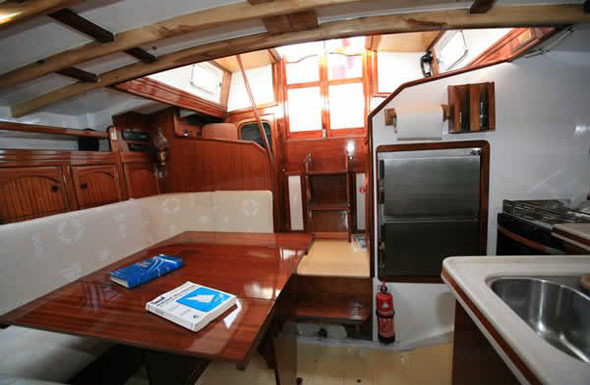 You can enjoy the detailed mahogany varnished interior of our ship. 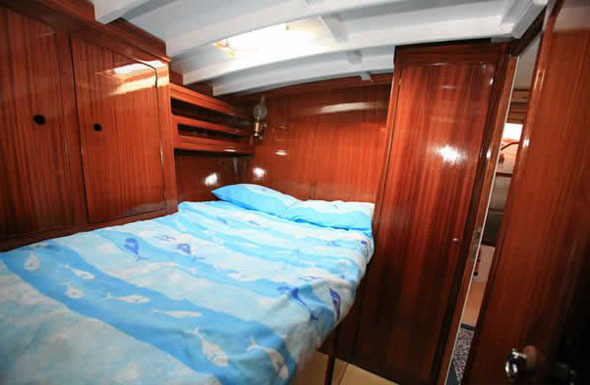 The tre double cabins as well as the skipper's cabin are all completely independent. There is a bathroom with a hot-water shower, sink and toilet.. There is a group living area where everyone can be comfortable at the same time. 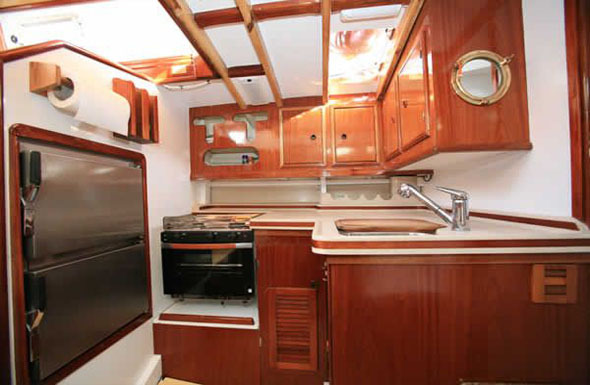 We have a large kitchen with a stove where delicious meals can be prepared.! 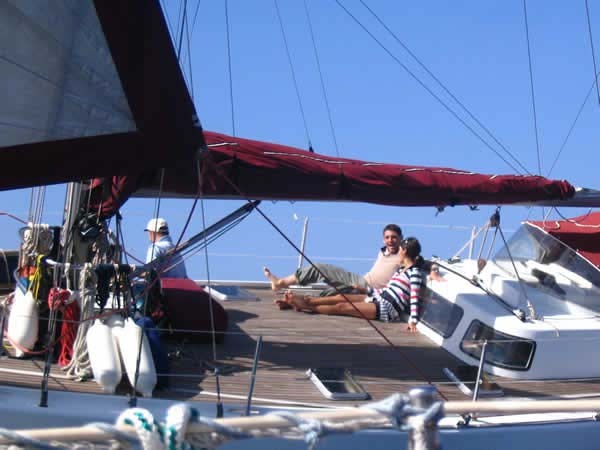 The nice teak deck is a great place to hang out both while sailing as well as in port or at anchor. A ketch is a ship with two masts: the "main mast" towards the bow of the ship, and the smaller "mizzen mast" towards the bow. 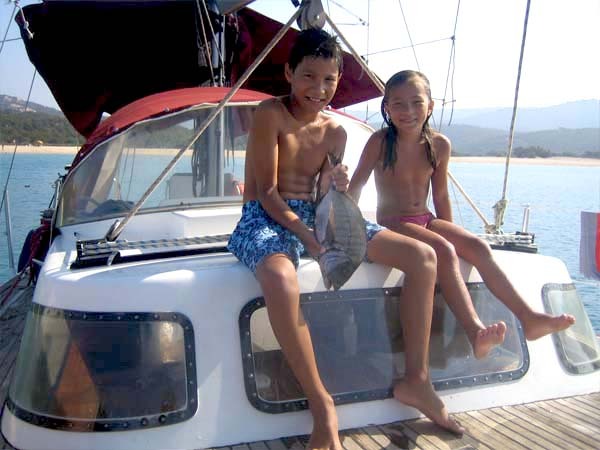 The logic behind the ketch has to do with the separation of the wings to the sloop, giving it more flexibility. That way, the boat has a better stability and receives a steady wind while sailing. 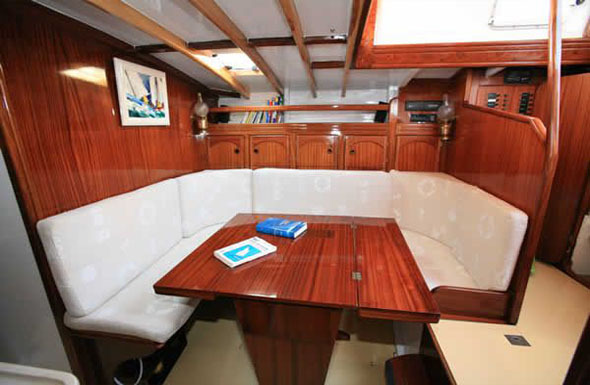 The bridge area is very wide allowing you comfortable sitting room. (Without the large sail depending on the conditions). All of this allows you to spend endless hours in complete safety !